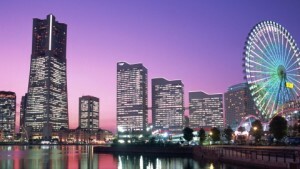 Minato Mirai 21, or simply Minato Mirai – urban area in the city of Yokohama, located in the immediate vicinity of the port. Minato Mirai in Russian means “Port of the Future”: on its territory there are a lot of shopping and business centers, among which the Landmark Tower – the third tallest building in Japan. Until 1980, the whole port area was reserved for the shipyard, but within the city’s new port project it was decided to reschedule a new business and entertainment center. In Minato Mirai very favorable location and many interesting sights within its territory. “Port of the Future” – a concentration of shopping malls, hotels, exhibition halls, amusement parks, museums and spas. 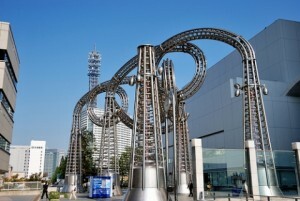 Located along the coastal lines of the building of the central district of Minato Mirai create a unique circuit that you see during the trip on the highway from Tokyo. The most stand out skyscraper without a doubt can be considered Landmark Tower. Next to them there are three towers Queen’s Towers – each of which is slightly less than the previous, and next is Pan Pacific Hotel and the Convention Center Pacifico convention center. 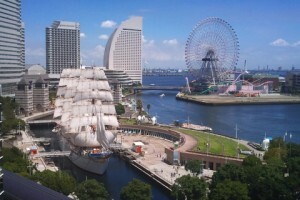 Redevelopment of Minato Mirai is still actively going on, but now in the direction of the city center. 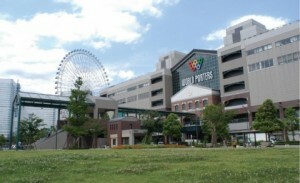 With central part of the port town associated small artificial island – another part of the Minato Mirai – District Cinco, which means “new port area.” Here is the famous Ferris wheel with giant clock, the former for some time the largest in the world. Entrance closes 30 minutes before the official closing time. At 273 meters high tower is located Landmark Tower viewing platform “Sky Garden”, one of the highest in Japan. At the time of construction, high-speed elevator, delivering visitors to the viewing platform, considered the fastest in the world. Top offers stunning views of the port and the city, which you can enjoy relaxing in the Sky Garden Bar. Price: the price of a ticket for each attraction varies between 300-800 yen. In the amusement park Cosmo World has everything you need for good entertainment: downhill with slides, carousel, playground and a huge Ferris wheel. In the evening works multicolored lights in the park. 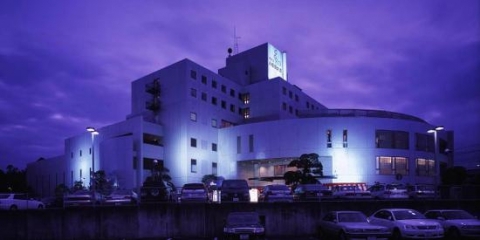 Manyo Club – a large spa area, where you have the opportunity to swim in a traditional bath with water from hot springs (delivered daily from the Izu Peninsula). For an extra fee you can book a session of acupuncture, massage, use the Internet, have dinner in one of the restaurants. Queen’s Square shopping center occupies the first few floors of the complex three-turret Queen’s Towers.There is a wide selection of restaurants and shops, including global brands. On the ground floor – the station is Minato Mirai. 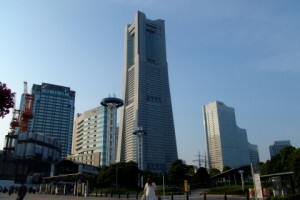 Landmark Plaza is adjacent to the Queen’s Square and adjacent to the Landmark Tower. 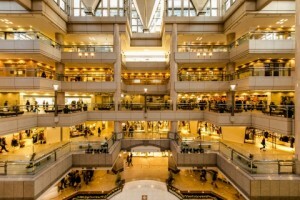 In the first five floors of the represented roughly the same range of shops, as in the Queen’s Towers, from interesting – Center “Pokemon” on the 4th floor. 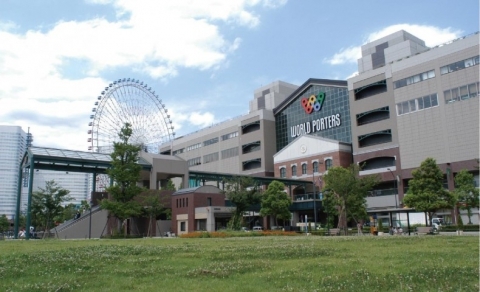 Each of the six floors of the shopping center is dedicated to World Porters certain categories of goods. From bottom to top: a grocery department, clothing, sporting goods, hobby, everything for home cinema, leisure center and spa. 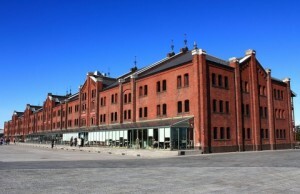 Port warehouses were premises until the onset of the global restructuring and emerged Minato Mirai. Now this is a big shopping center with a unique design. Here are a variety of exhibitions and events. 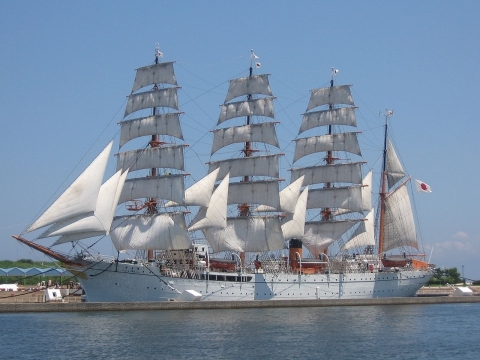 Nippon Maru – is a sailing vessel built in 1930. 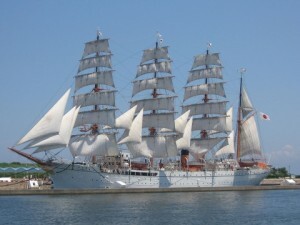 Moored on a regular basis in the port of Minato Mirai and open to the public. Opposite Port of Yokohama is a museum dedicated to the history of the port. 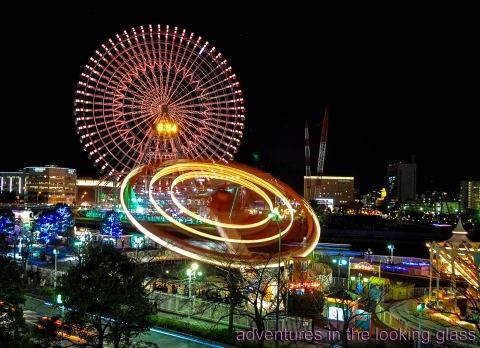 10 minutes walk from Minato Mirai station and Sakuragicho. Closed: Tuesdays (or the following day if Tuesday a public holiday), New Year’s holidays. 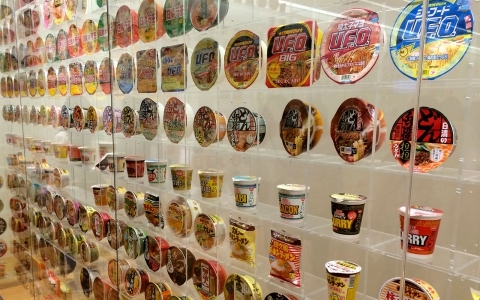 Interactive exhibitions, contemporary art, cooking – everything is connected with instant noodles! For a modest fee, visitors can experiment with ingredients and create your own masterpiece of ramen in a plastic cup. And for those who do not feel the makings of a chef in a special café have the opportunity to try the noodles from around the world. The museum has seven galleries, three are reserved for permanent exhibitions, one – for photo exhibits, and three more for temporary exhibitions. 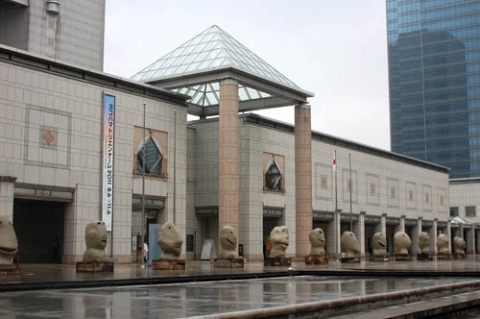 The museum exhibits mostly contemporary art, including works by local artists. 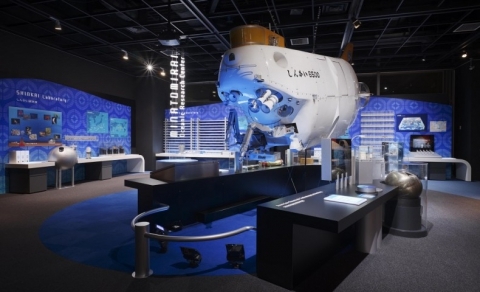 The territory of the museum is divided into several sectors: space, ocean, transport, discovery, the environment and the large number of interactive exhibits will be especially interesting to children. Nearest station – Minato Mirai and Sakuragicho Station (JR Negishi Line (Keihin-Tohoku Line) line).